I got this week hopefully the last skeins of weft for the eternal project. 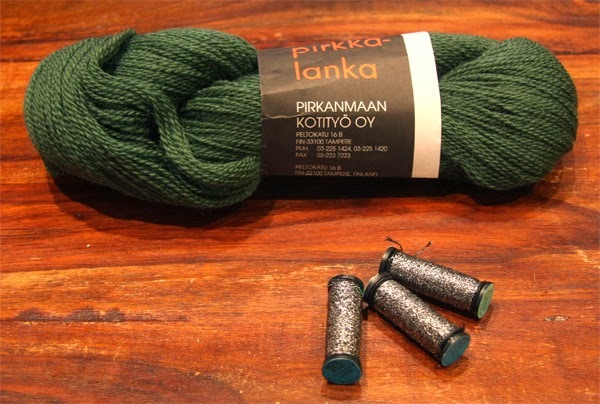 One skein of dark green wool. I wanted to have two dark hues, but the other was already fourth hue, which was out of production, during this project. I also got three drums of Kreinik's metal thread, size #12 tapestry, color: pewter. It will be used together with the silver, in the blade of halberd.